Have you bought a Villa del Palmar timeshare and are having second thoughts? Are you thinking about canceling your Villa del Palmar timeshare during the cooling off period? 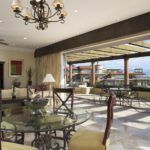 Buyer’s remorse is a common phenomena, but before you take the leap to cancel your timeshare at Villa del Palmar, weigh up the reasons why you were so convinced about buying a timeshare during your tour of the resort. Once you get home, the reality of your routine may cause you to have second thoughts about purchasing a timeshare at one of the Villa del Palmar resorts; however, that is precisely why you should not rush into canceling your timeshare unless you are really sure. Escaping regularly from the humdrum routine of life is one of the reasons why buying a timeshare at Villa del Palmar is so attractive. The cooling off period for Villa del Palmar is a kind of safety blanket, giving new buyers the freedom to be able to change their mind. It is during this time that you can reflect upon your purchase. Most people who have bought during a timeshare presentation will be pretty convinced about buying a timeshare at Villa del Palmar, the cooling off period takes the pressure off and gives you time to think clearly. Every country will have specific legal guidelines about how long the cooling off period will be. For Villa del Palmar cooling off period times, you should consult your contract or contact members’ services at Villa del Palmar or Universal Vacation Club International (UVCi). Remember, that if you miss the time limit on your Villa del Palmar cooling off period, you will only be able to cancel your contract if you have been mis-sold your property and have evidence to prove it. Always check how long the cooling off period is when purchasing a timeshare, especially if you are not 100% convinced. Share the post "Villa del Palmar Cooling Off Period"